To build capacity within the arts and culture sector, providing knowledge on how artists can exercise their rights, and on how to support our collaborative partners. 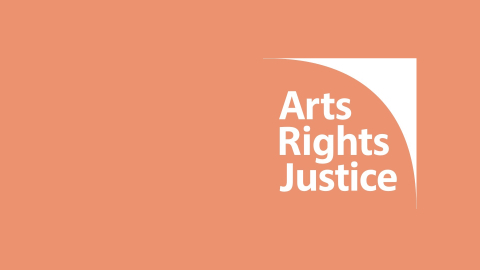 To support and encourage arts organisations and cultural workers in informing and encouraging their colleagues and members to protect, defend and support artists and cultural operators everywhere. To encourage better collaboration between the arts, culture, free speech and the human rights sectors. It is a collection of information for individuals interested in training others or presenting information on cultural rights to be read and absorbed. It is NOT a set of power points to show when presenting. It gives resources which can be used in presentations or general discussions. It should assist in the first steps of gaining the interest of colleagues or members, or other audiences or stakeholders (funders). To download the ARJ EU Toolkit, click here. The Companion works alongside the Toolkit, providing cases that illustrate many of the issues and ideas raised in the Toolkit as an aid to readers and trainers. There are examples of artists and artworks that have been censored that show the many forms of censorship of the arts globally, with a special focus on Europe. 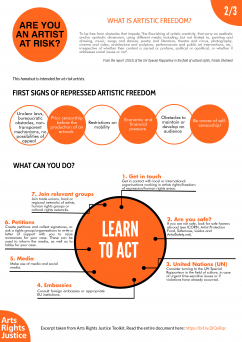 It highlights initiatives by Arts Rights Justice members and other arts, human rights and freedom of expression organisations to tackle repression of freedom of artistic expression and production. 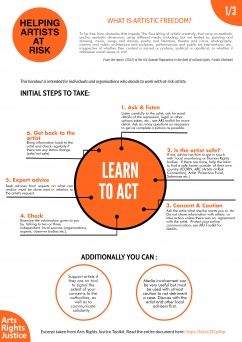 Illustrations include advocacy and publicity campaigns, work with international mechanisms such as the United Nations, lobbying to change legislation, and guides for artists at risk, among others. 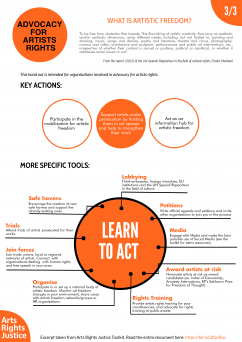 The Toolkit and Companion together aim to help build capacity within the arts and culture sector on how to exercise their rights and to support our collaborative partners; to support and encourage arts organisations and cultural workers to protect and defend artists and cultural operators facing censorship wherever they may be; and to encourage better collaboration between the arts, culture, free speech and the human rights sectors. New inspirations and issues will be constantly arising and it is planned that this companion will be updated to include them.